A woman from Ontario is currently facing fraud charges for allegedly collecting more than $190k in workers’ compensation benefits on behalf of her deceased mother. Clara Hamilton, a woman from Ontario, is currently facing criminal fraud charges for allegedly collecting more than $190,000 in workers’ compensation benefits on behalf of her deceased mother. According to the police report associated with this case, law enforcement officials discovered the alleged workers’ compensation fraud when, in May 2012, they had raided Hamilton’s home in connection with a drug investigation. Accumulated more than $190,000 from the OWSIB over the nearly 15 years that they had been reportedly collecting the dead woman’s benefits. 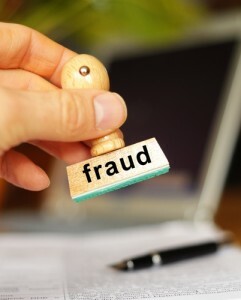 At this point, official workers’ compensation fraud charges have not yet been filed against Hamilton or Karr, so it is unclear what possible penalties these individuals could face if they are ultimately convicted of such substantial fraud. However, while the question of whether either Hamilton or Karr remains to be answered, it is clear that either or both of these individuals will likely be ordered to repay some portion of the $190,000 they allegedly had fraudulently accumulated since 1999. If you have sustained a workplace injury and are considering (or in the process of) filing a workers’ compensation claim, you cannot rely upon your employer or insurance companies to look out for your best interests. In fact, both your employer and insurance companies will be more focused on their own bottom lines instead of your current and future wellbeing. This can make the system adversarial for injured workers and potentially even put them in situations in which their legitimate workers’ compensation claims are undercut or even flat-out denied. 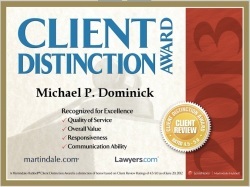 In such cases, it’s essential that injured workers contact the Colorado workers’ compensation lawyers at the Law Office of Michael P. Dominick. Our legal professionals are experienced at going up against corporate lawyers and insurance companies, and we have a proven track record of success when it comes to securing our Clients the maximum possible compensation for their injuries and financial losses. For a thorough evaluation of your case, along with expert advice on the best manner in which to move forward, call us at (303) 447-2644.